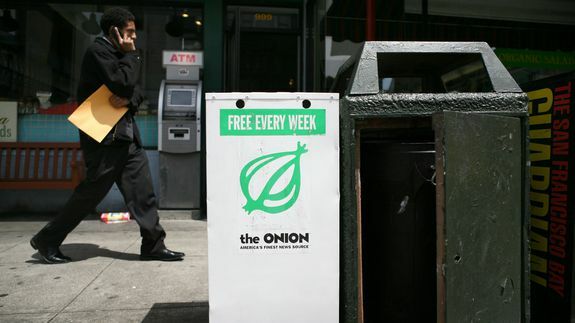 Final Print Edition of 'The Onion' Gets the Last Laugh - trendistic.com: ever tried. ever failed. no matter. try again. fail again. fail better. 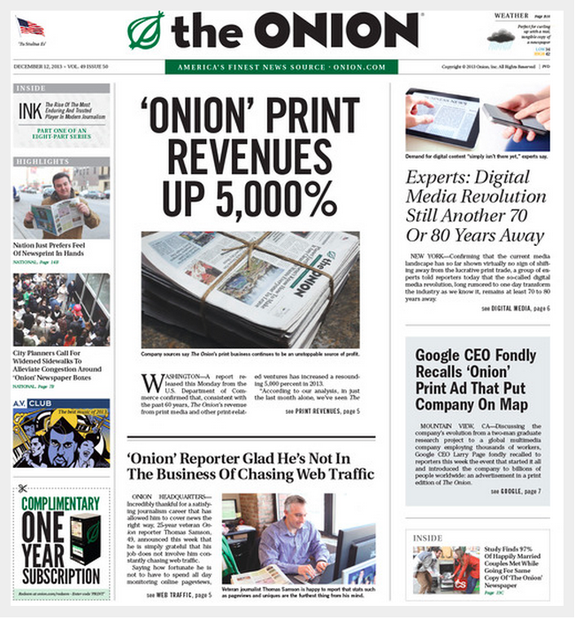 The Onion‘s last print edition couldn’t have happened any other way. The Chicago-based satirical new outlet announced last month that it would cease offering a print edition, opting instead to go digital only. Do not adjust your computer screen: That really is Flappy Bird inside of Super Mario World. It’s not a mashup piece of software, either….